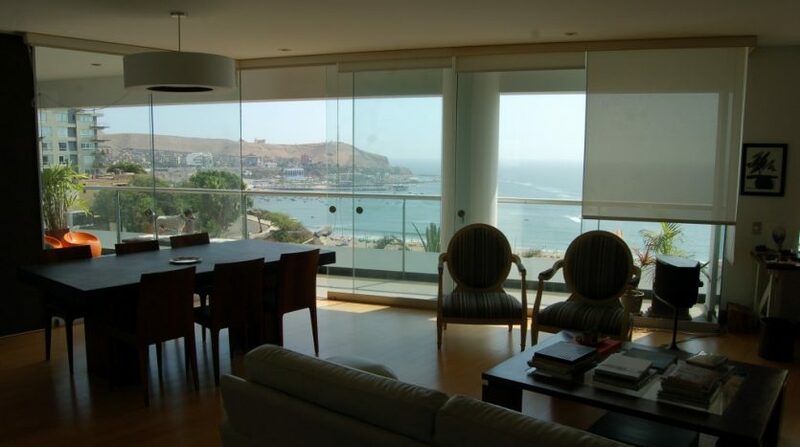 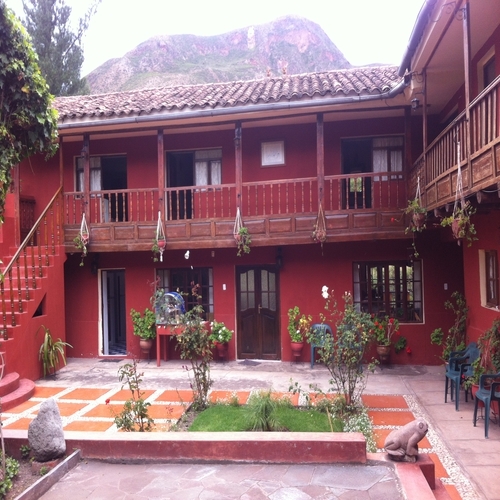 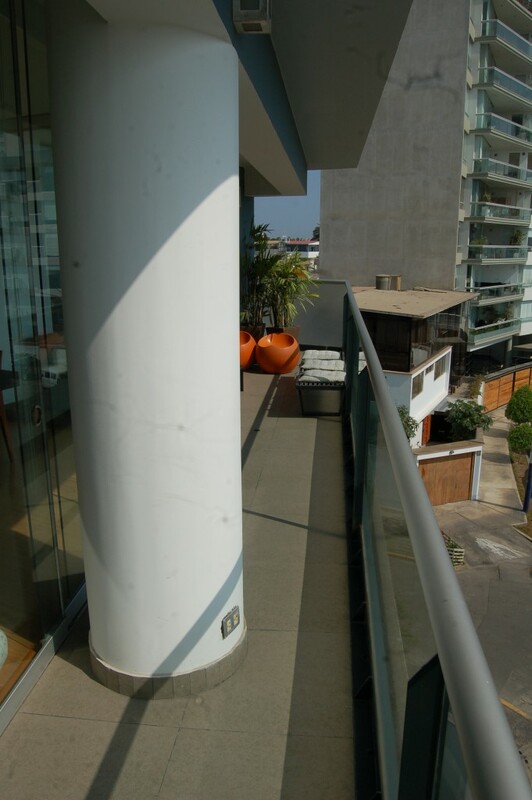 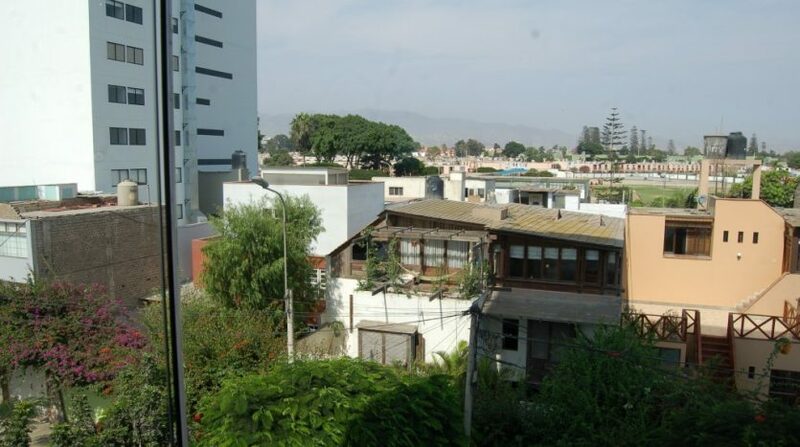 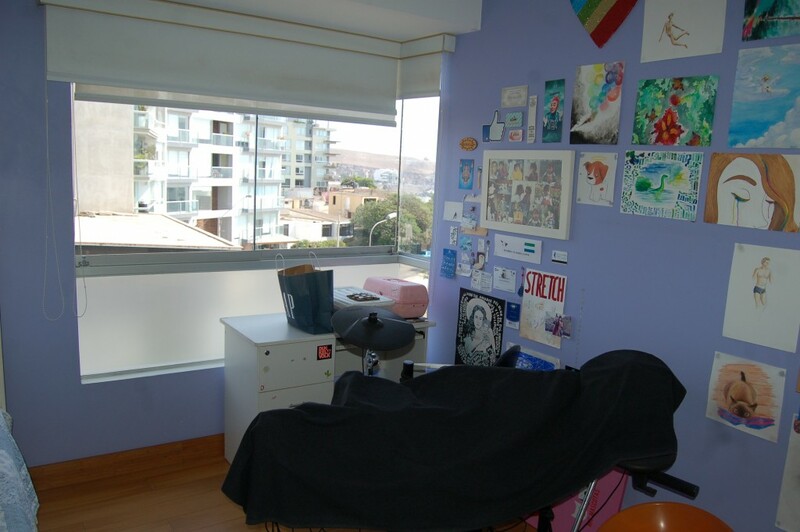 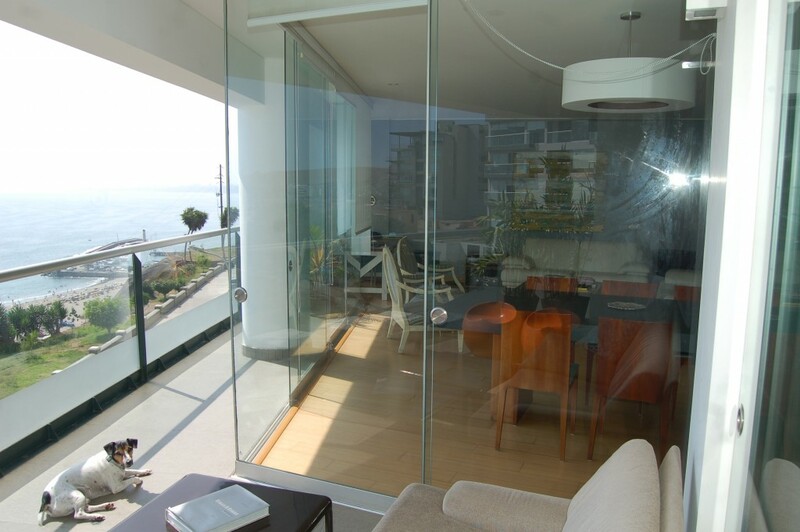 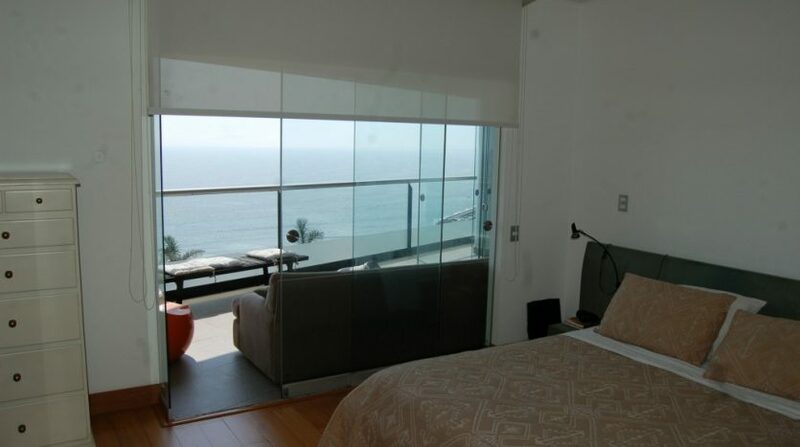 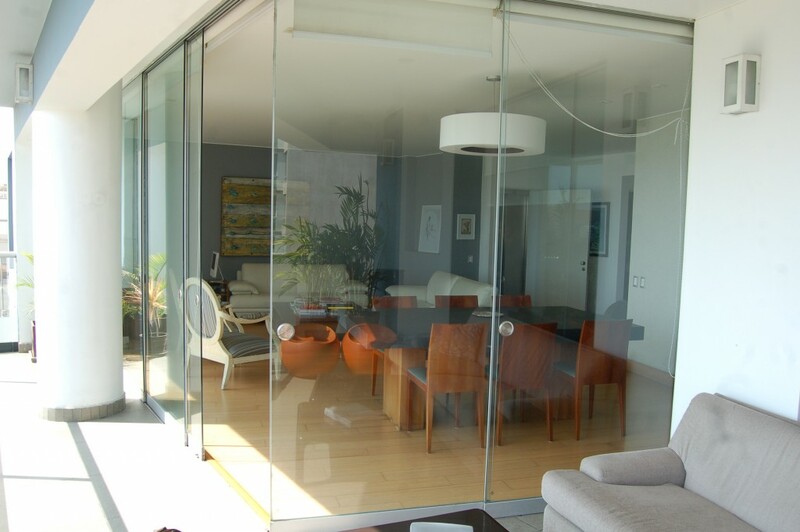 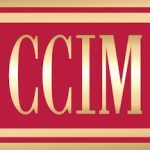 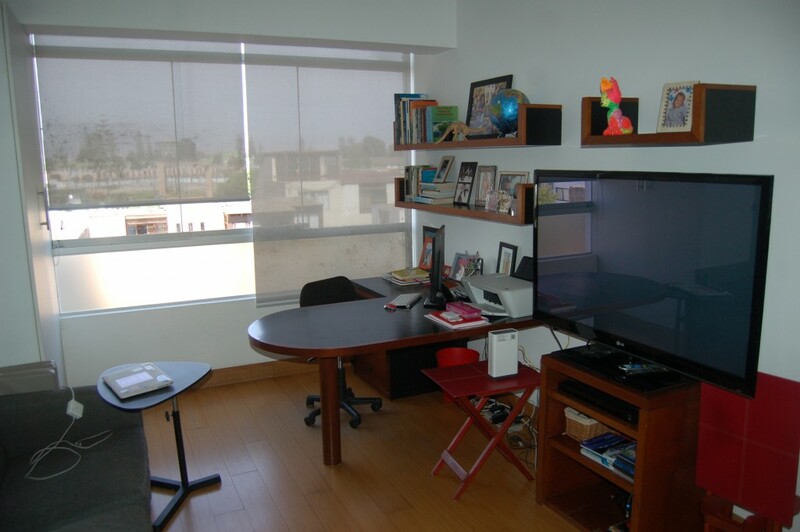 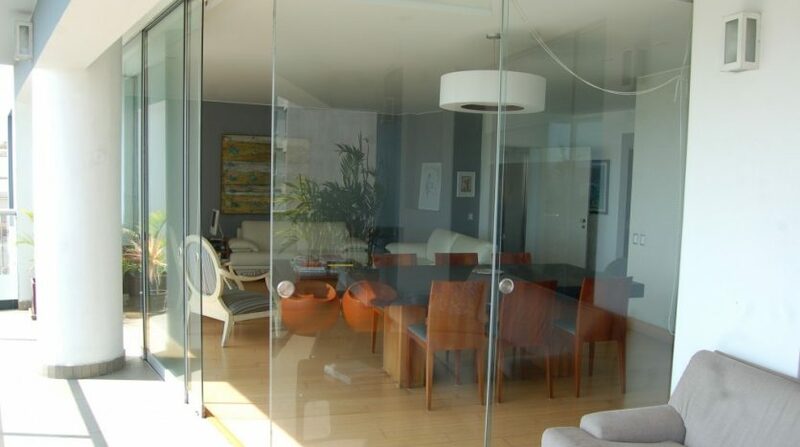 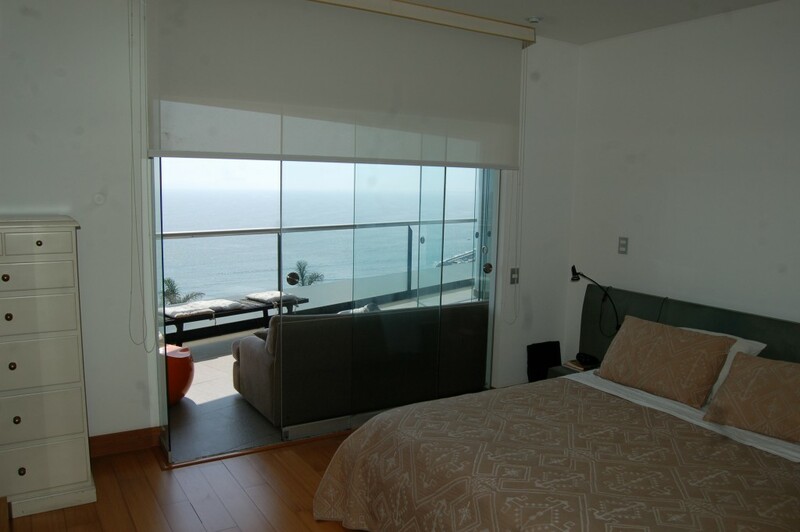 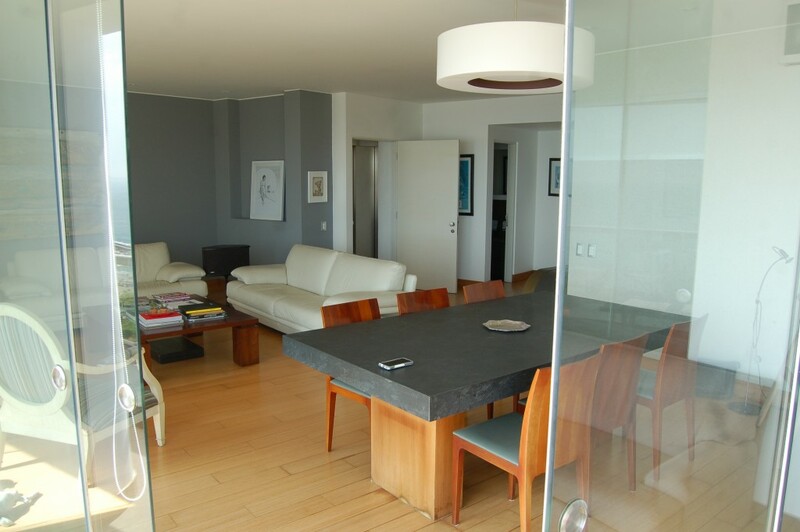 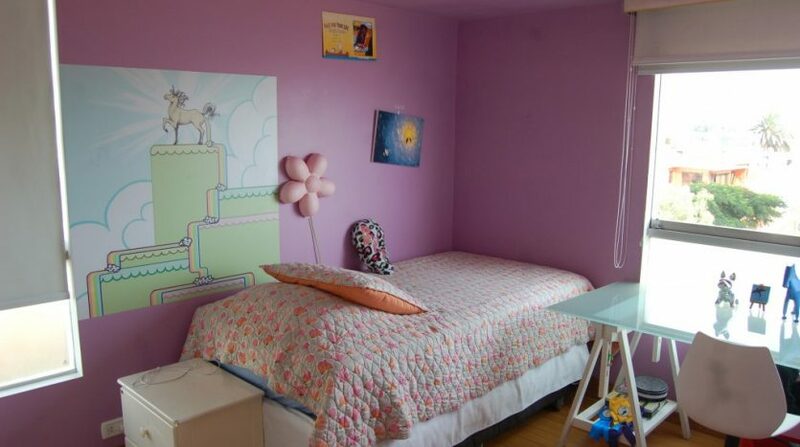 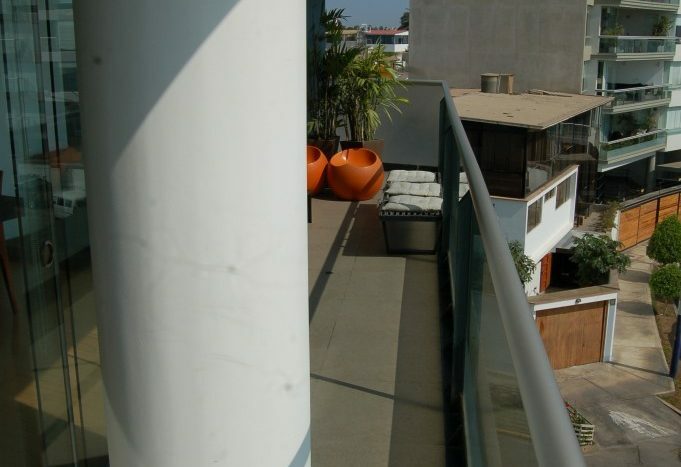 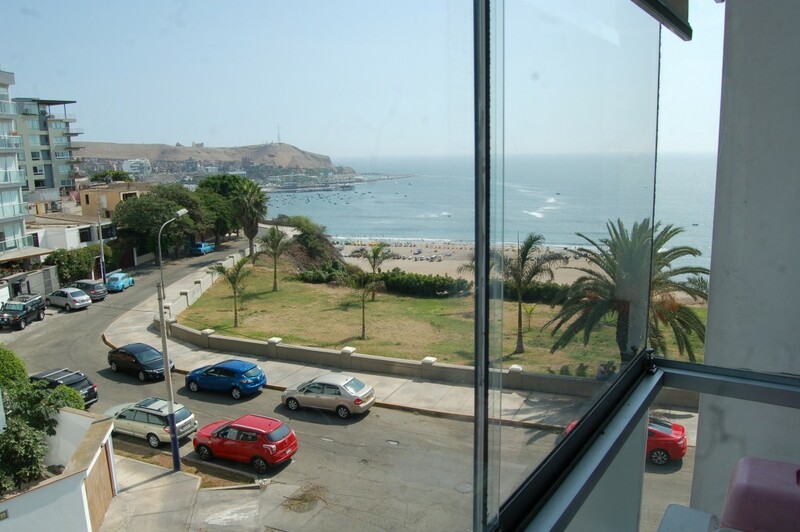 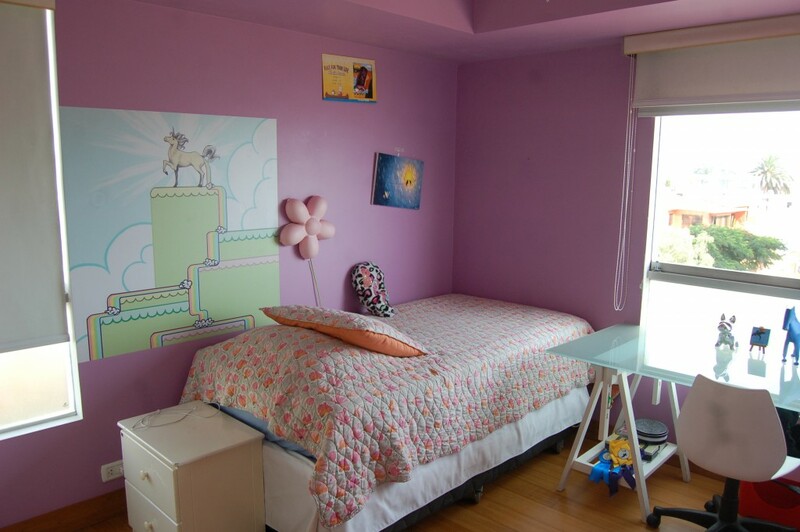 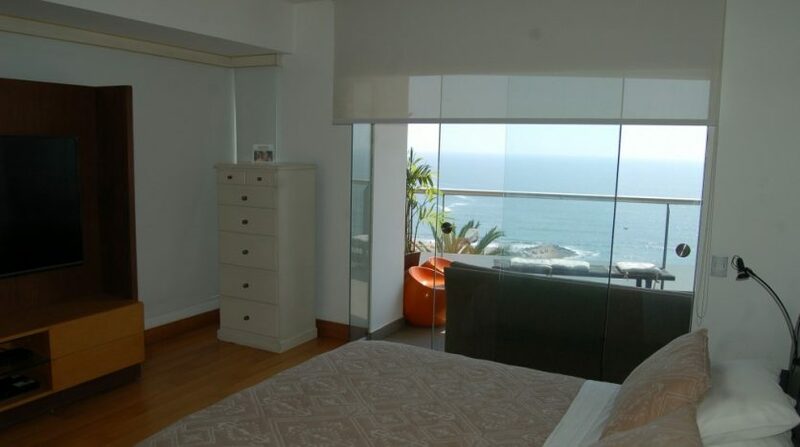 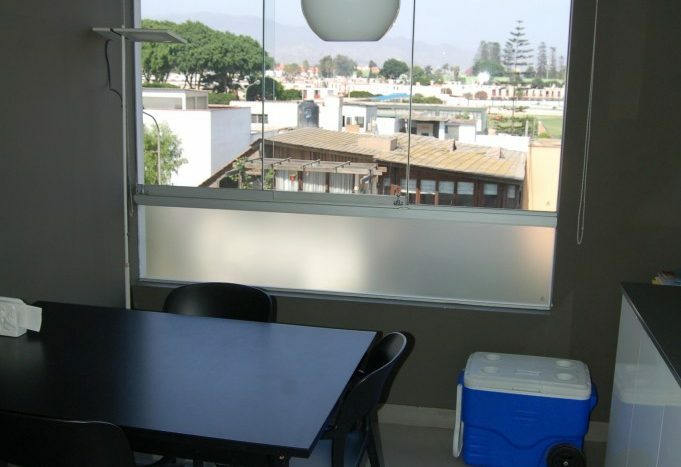 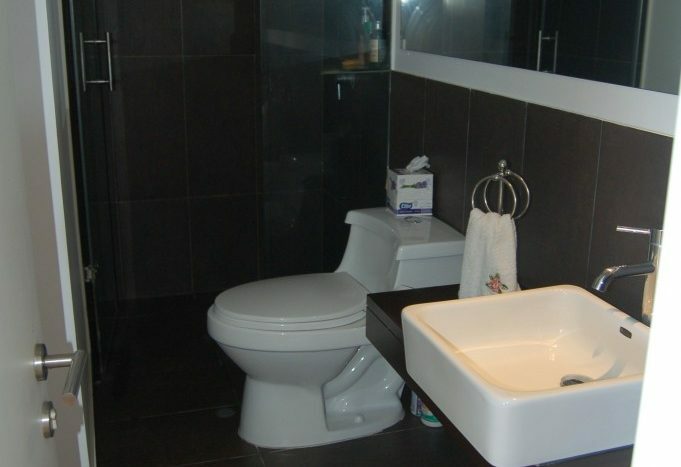 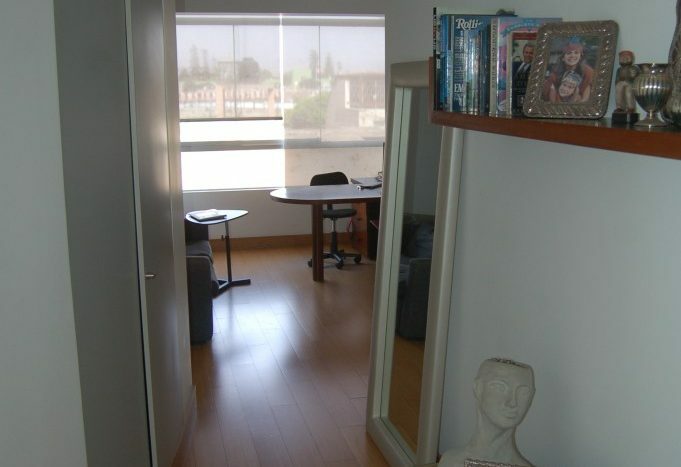 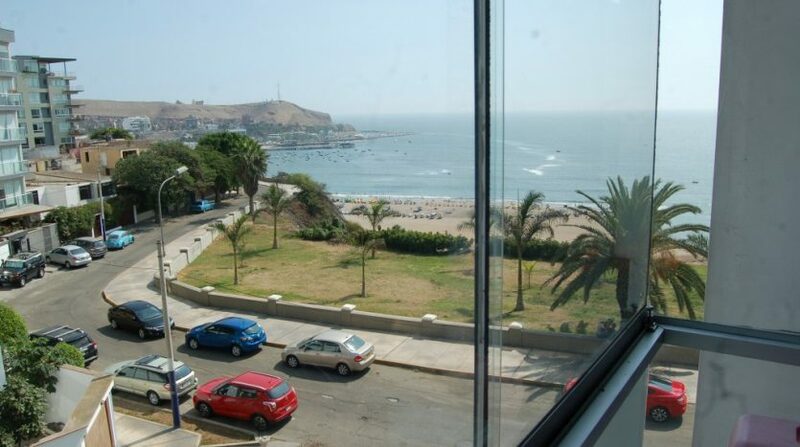 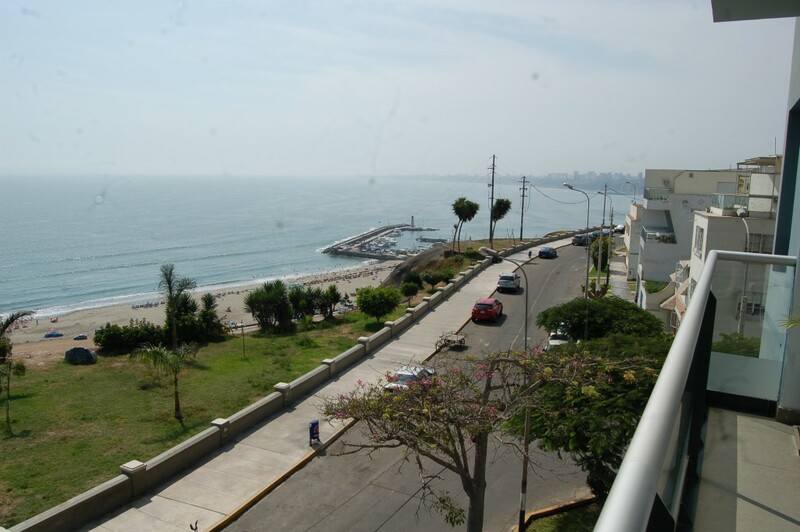 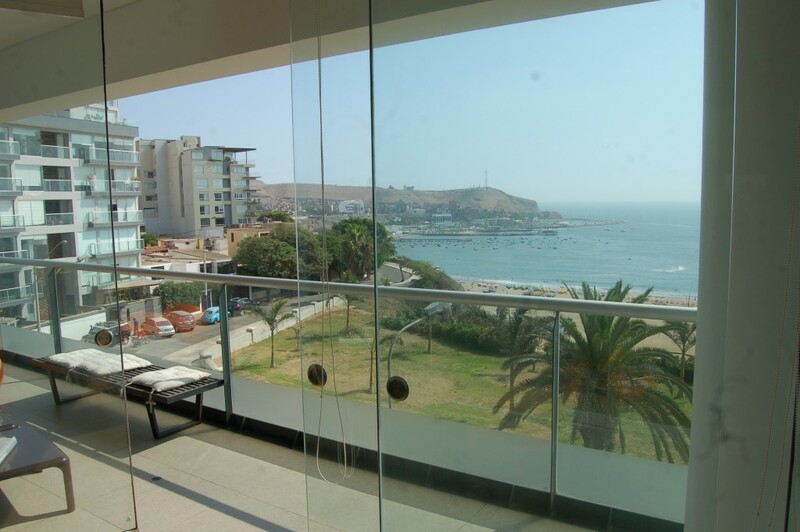 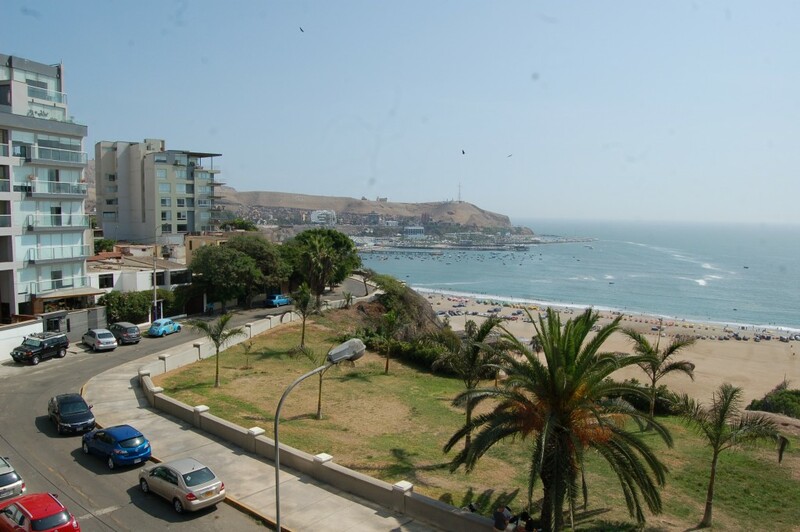 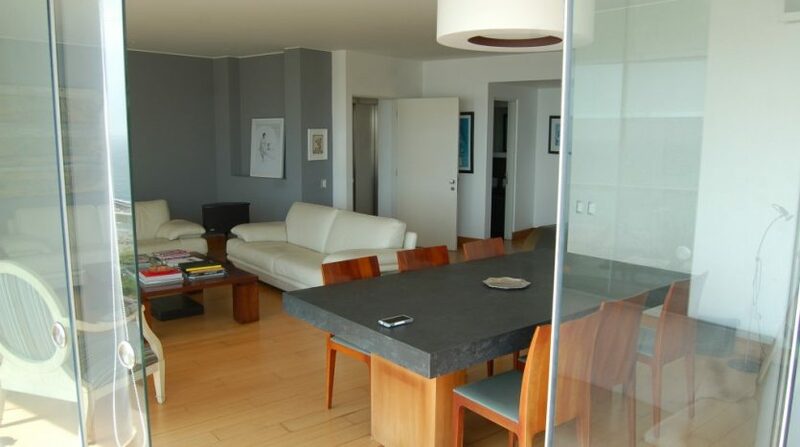 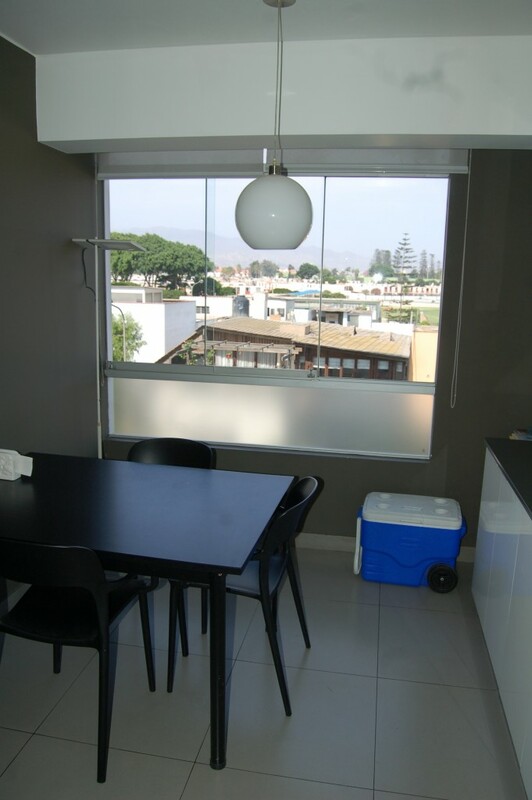 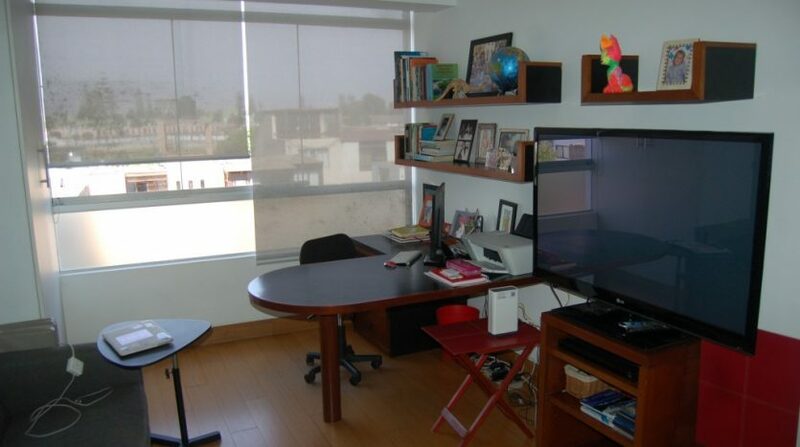 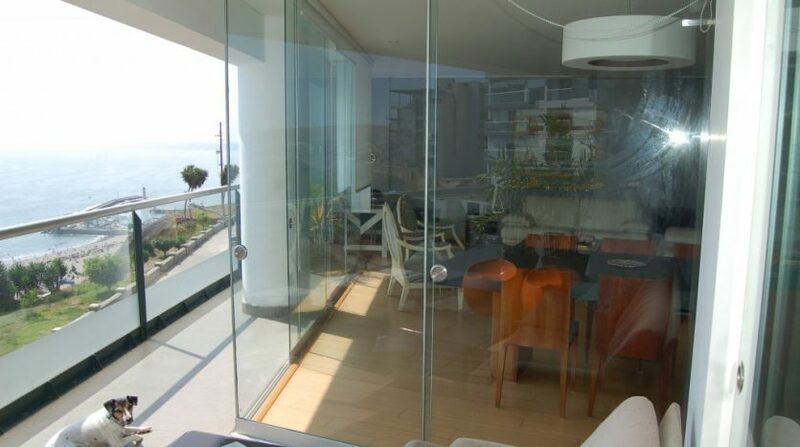 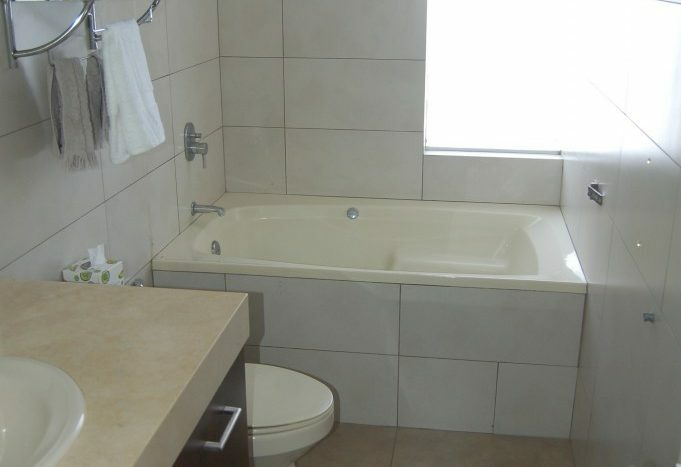 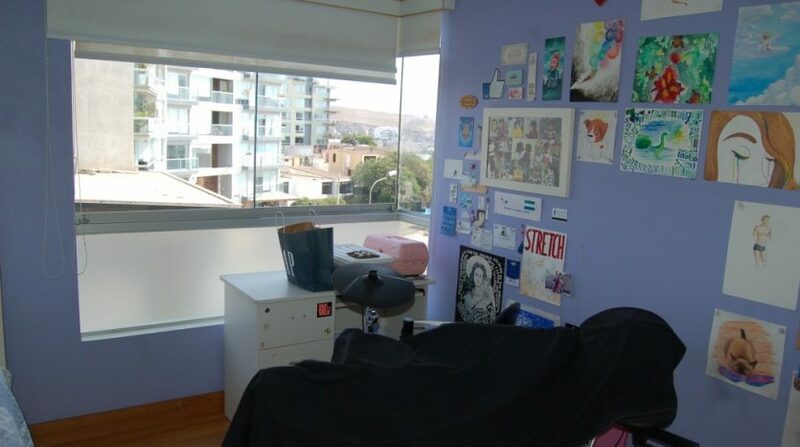 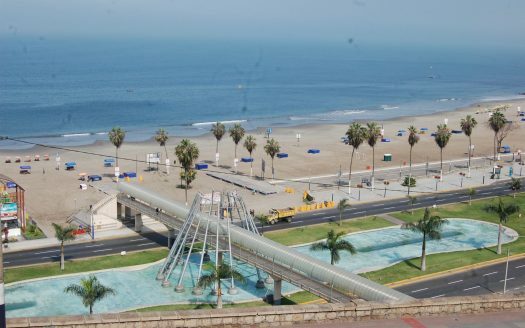 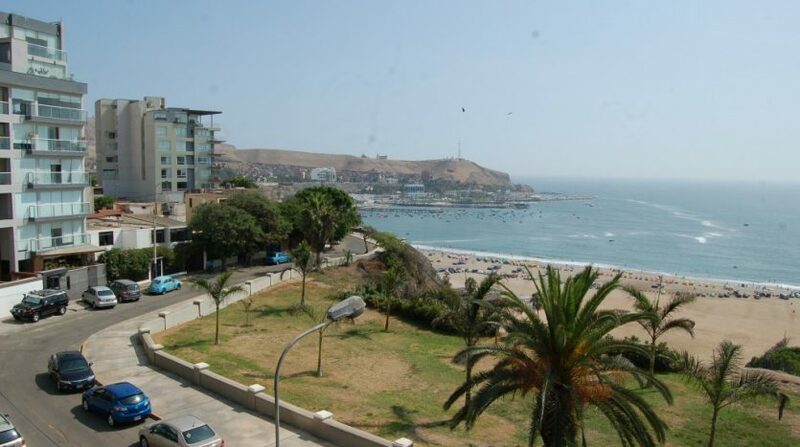 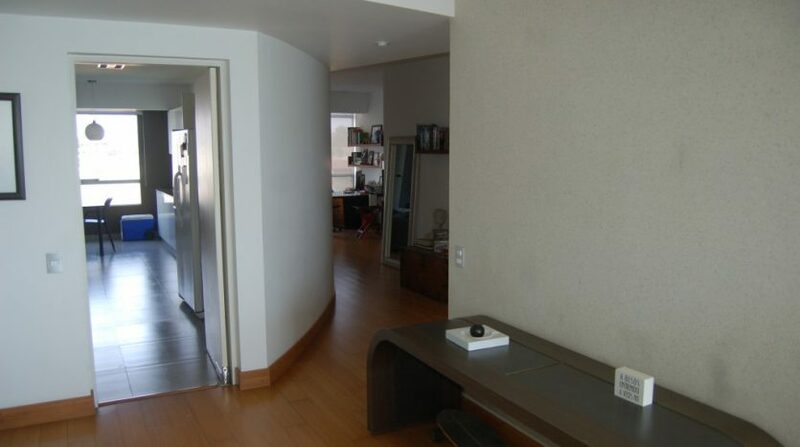 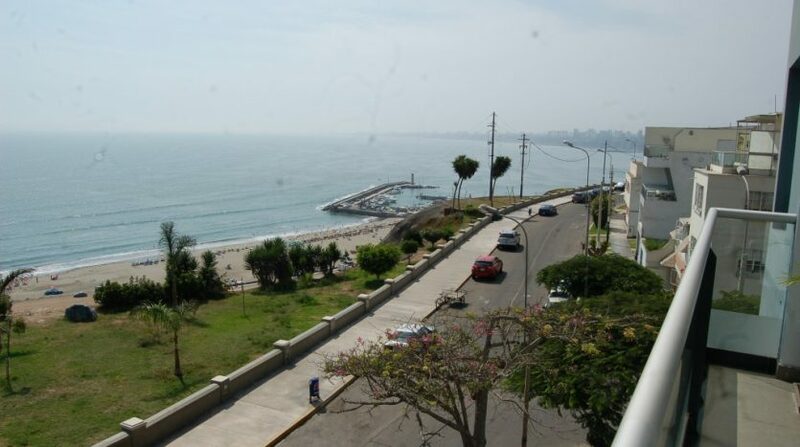 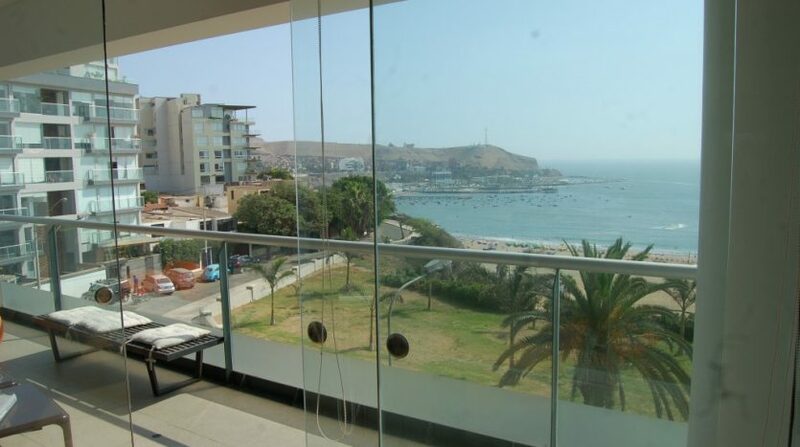 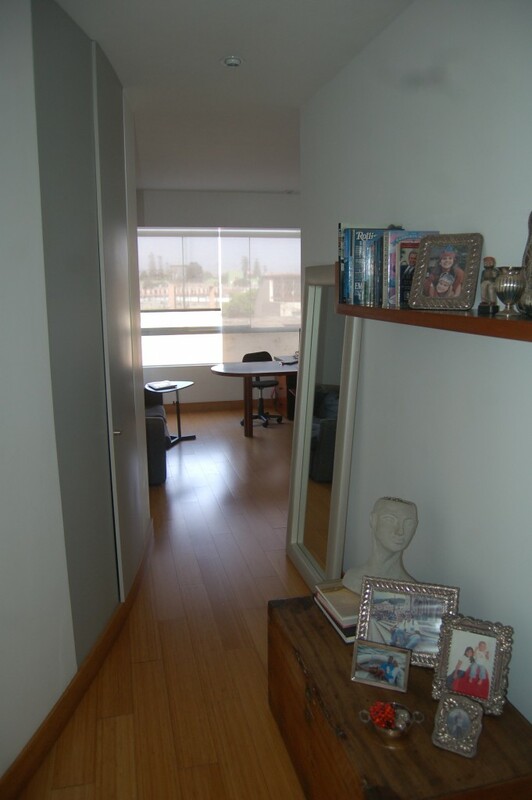 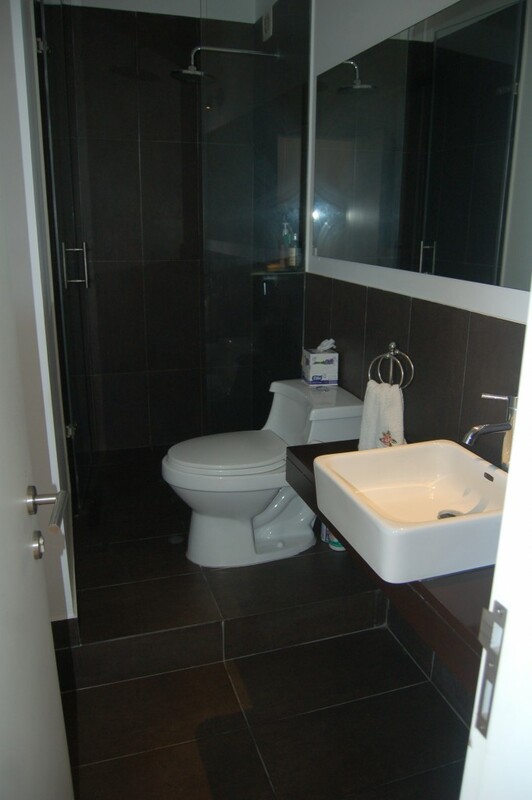 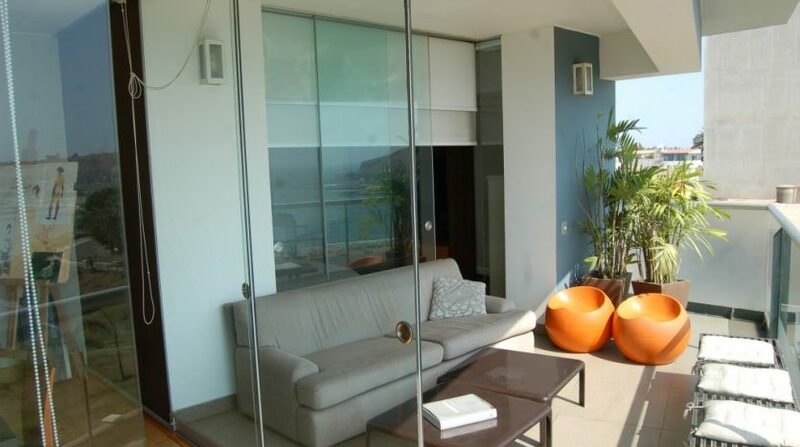 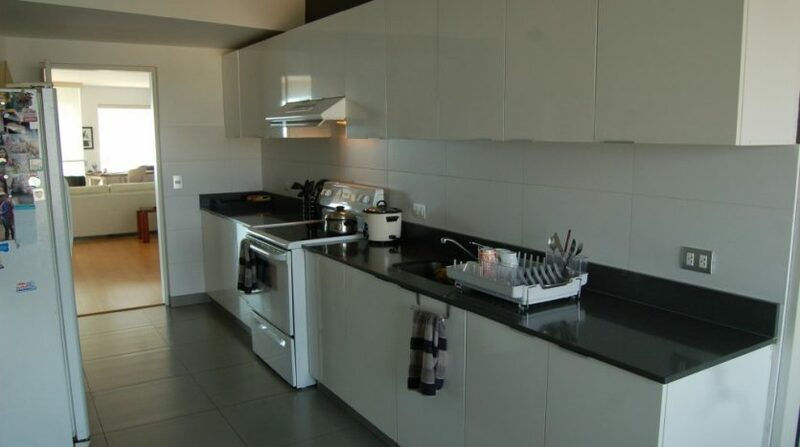 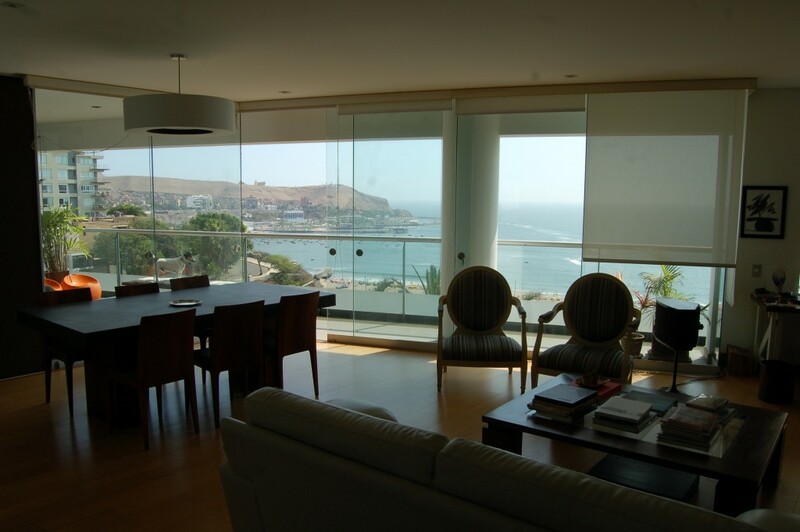 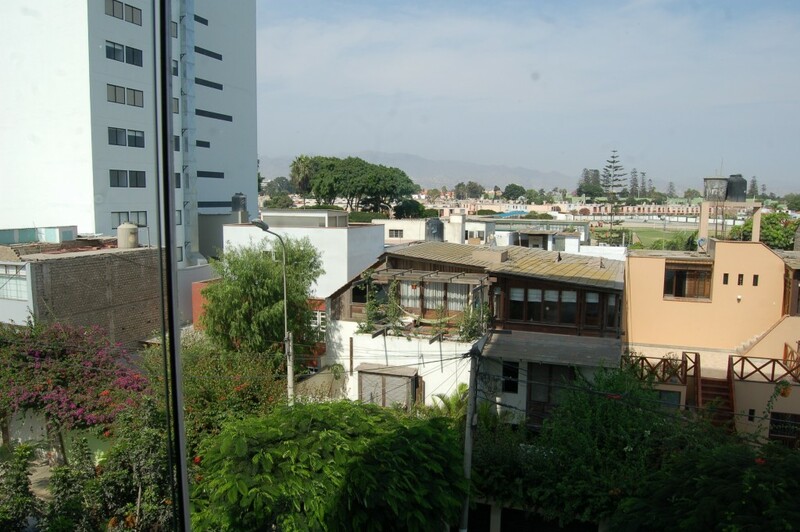 Spacious Fully furnished apartment located on a super quiet, gated community on the Chorillos Malecón, featuring a spectacular view of the Lima coast. 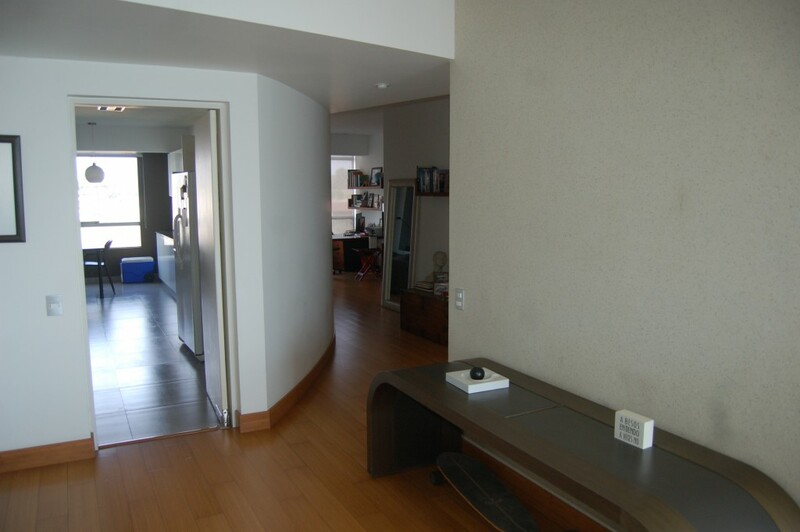 The apartment also has very good distribution, lots of light and cross-ventilation. 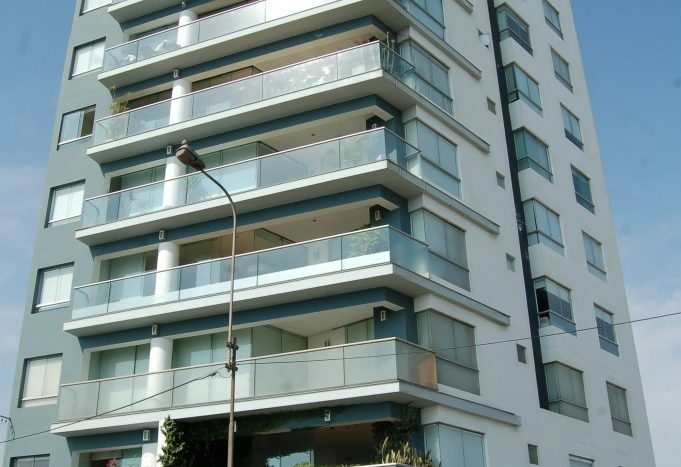 11-unit building constructed by Tekton Real Estate Development in 2012, designed by the Architect José Luis Dupuy Benavides. 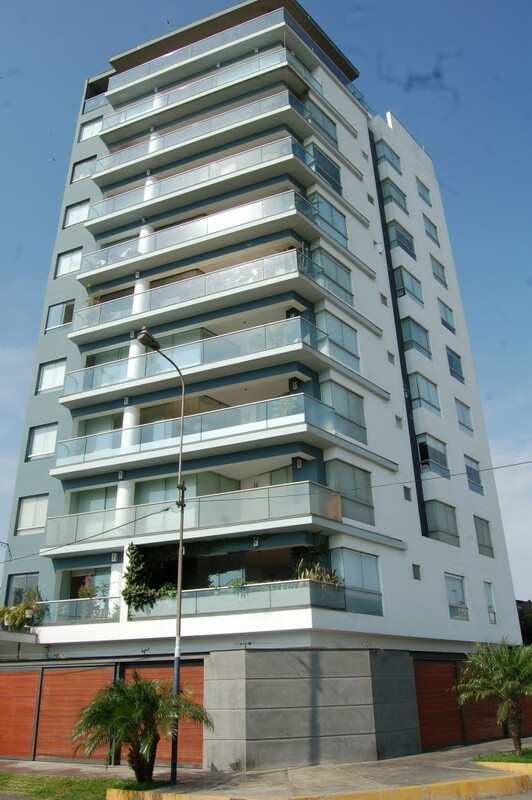 The apartment is distributed as follows. 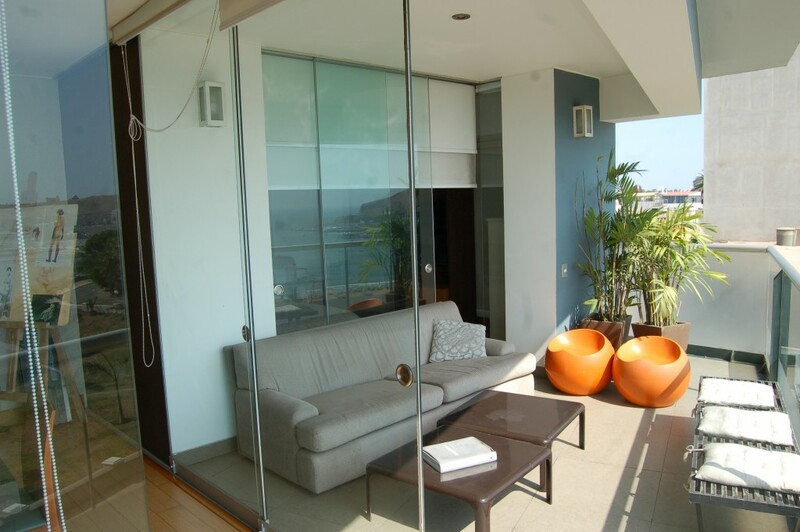 FEATURES: Direct elevator, Large living/dining room with access to the terrace, Terrace along the social area with an amazing view, Guest bathroom, Master bedroom with exit to the terrace, Large windows, Walk-in closet and Bathroom with tub. 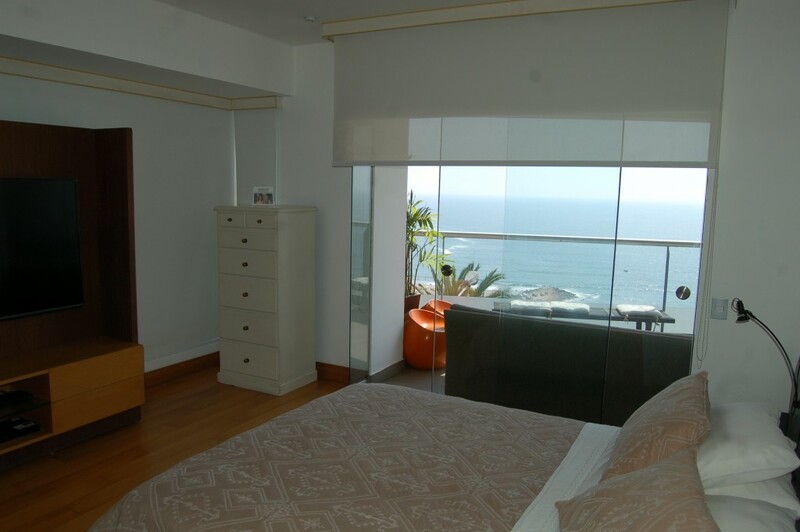 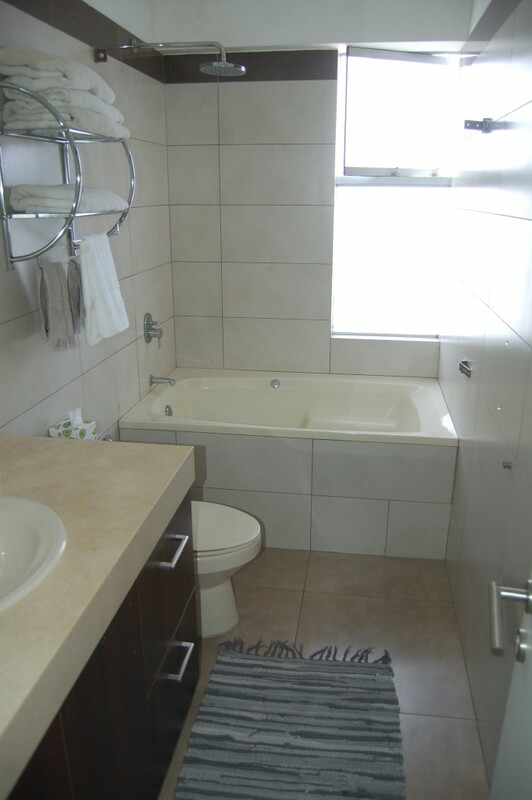 Family room, 2 secondary bedrooms each with closets and ocean views, Secondary bathroom with shower, Spacious eat-in kitchen, Laundry area, Maid’s bedroom, and bathroom. 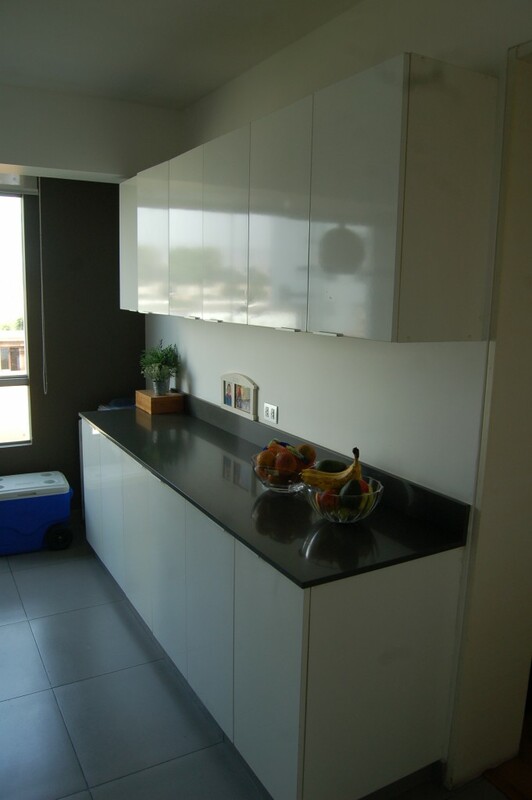 INCLUDES: Linear parking for 2 cars, Storage No. 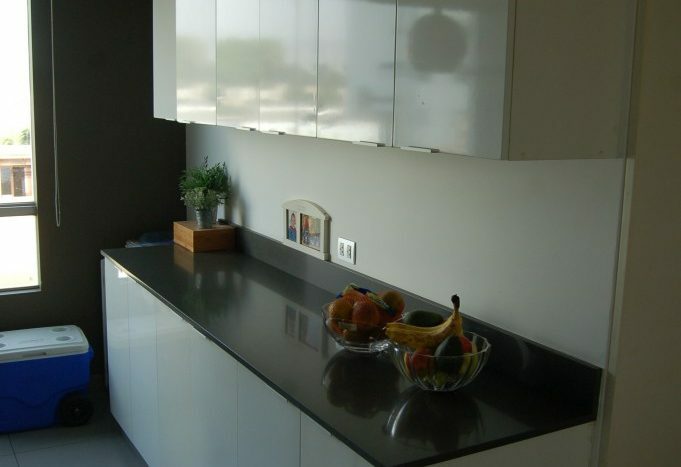 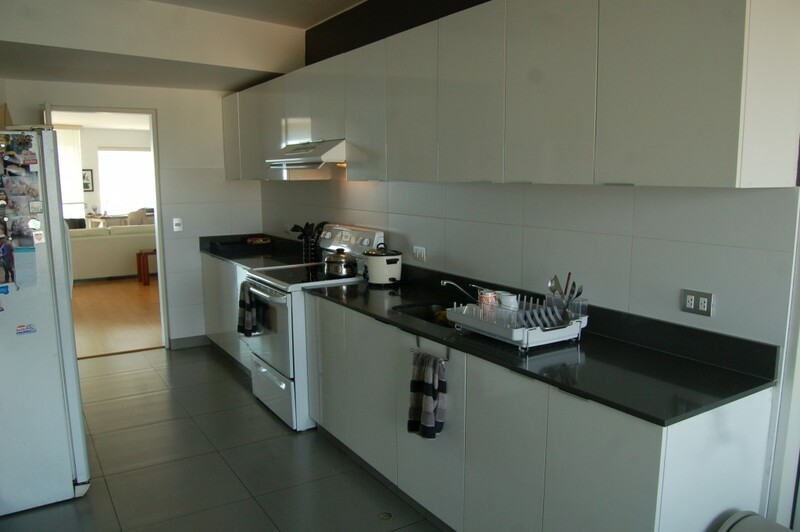 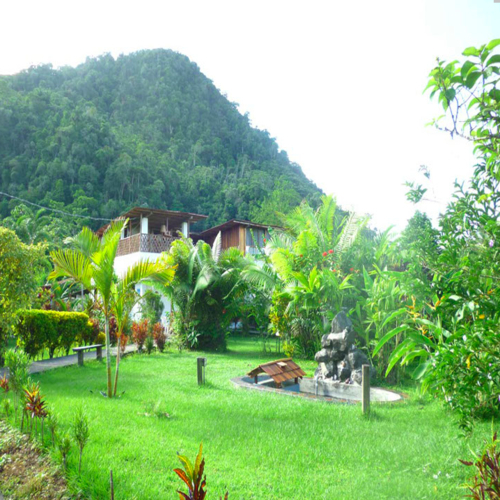 13 (2×1.5m), Pets OK. FINISHES: Bamboo floors and quartz countertops in the kitchen.